Verizon Channel 9 – which is PCN, Pennsylvania’s non-profit cable network, broadcast a show entitled Philadelphia in World War I. For those who missed it, this program will be re-broadcast Saturday, July 26th at 5:35 pm and again on Sunday, July 27th at 04:35 am. This program includes an interview with Special Collections and Digital Library Coordinator Michael Foight and other speakers involved with the “Home Before the Leaves Fall: a Great War Centennial Exposition” which features World War I content from Villanova University as well as other heritage organizations throughout the Mid-Atlantic region. 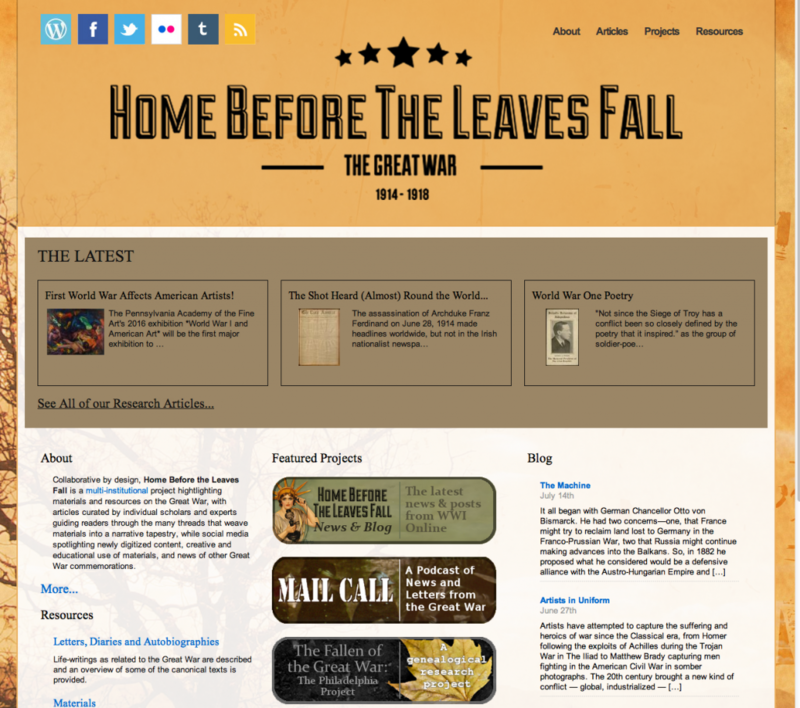 Experience World War One as it happened day by day, 100 years ago at http://wwionline.org.